Could it really be better than a 911? It was made for the track as well as twisty public roads. 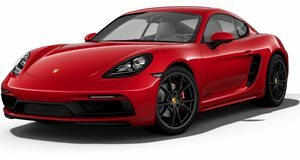 The new Porsche Cayman GT4 is a high-performance GT sports car that appeals to both experienced and first-time track day drivers, and anybody else who simply loves driving. And that’s exactly how Porsche intended it to be. The GT4, in the words of legendary Porsche rally driver Walter Rohrl, responds precisely to driver input. Its steering control combined with a conventional six-speed manual gearbox are two elements essential to purists. Powered by that wonderful 3.8-liter flat-six engine with 385 hp, Porsche claims the GT4 earned the same lap time on the North Loop of the Nurburgring as the 2011 911 GT3. It even comes with a unique Track Precision app. But what does a guy like Rohrl think of this mix of modern tech with that old school gearbox?